The name in a document of 1592 means 'broad pools'. Bradmears has become Barmers-land, and the two ponds at the farm are among the largest in the limestone plateau. 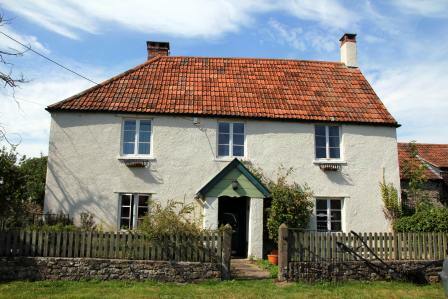 The farmhouse is thought to be 17th century, together with the attached granary. 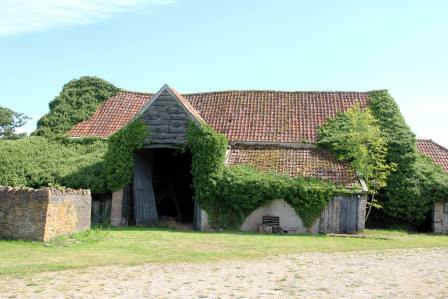 Extensive barns, shelter sheds and the cobbled yard are perhaps late 18th century or early 19th century. The whole has been listed (grade II) by English Heritage. An indenture of 1778 reads `... commonly known as Stowell Hill House or Stowell Hill Farm.' 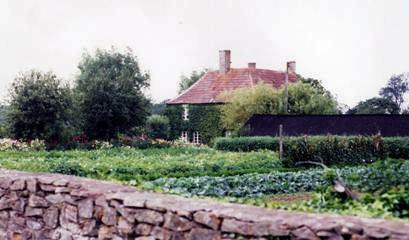 Later, it was often called The Home Farm, being attached to The Grange. 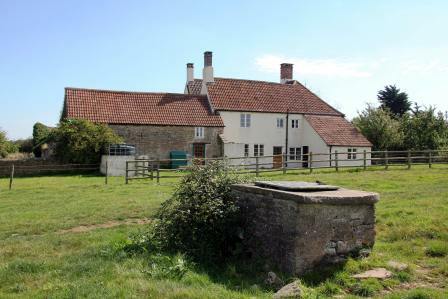 The farmhouse may have been built following the enclosure of much of the Open Field named Upfield. This was named in a document of 1546, and also in the 1584 Terrier: 'A common field butting upon Milbury Heath'. Only small fragments remained unenclosed by 1839. At this time, almost the whole farm was arable; pasture lay in the wetter land below the dry limestone plateau. By 1728, most of the land comprising Upfield belonged to the family of Lord Willoughby de Broke, some having been previously owned by Sir Nicholas Poyntz of Acton Court, Iron Acton. In that year, it was sold, together with much of the Manor of Tytherington, to Peter Hardwicke, Doctor in Physic, of Bristol. 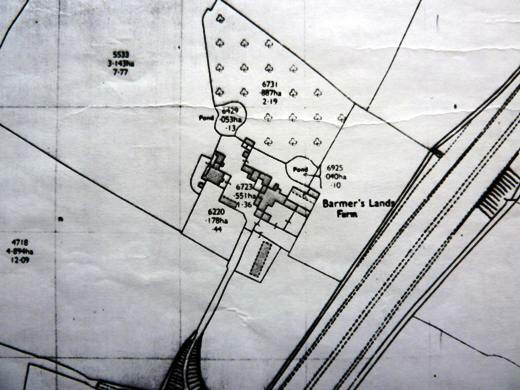 The farm remained in the possession of the Hardwicke family until after the 1914-18 War, when H L Hardwicke was forced to sell some of his properties. Bought by the Rymers (Gilbert first, then William), half the land, and the buildings, were sold in 1923 to William Hetherington. 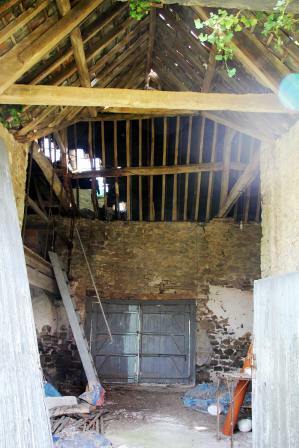 Succeeded by his son Robert in 1946, the farm, though now much reduced in size, is still run by Robert and his brother Claud. The construction of the M5 took the motorway close to the farm buildings and cut off the easternmost fields. Meanwhile, quarrying absorbed the southern part of the farm, and fields on the west and north have been sold. In 1881, the farm consisted of 250 acres - probably the peak size. Middle of 18th century John Cox, followed by Timothy Roach. Last part of 18th century Jonathan Sainsbury (died 1829 age 89) (his son farmed Boyts Farm, his grandson Edwards Farm). c1809-18 Thomas Alway (his uncle and cousin farmed Edwards Farm). by 1830 James Shield (died 1875 aged 84). 1870's James' sons, James and Henry.